Simple office management software that works inside your instant messenger that helps everyone to get more done. It's so easy to create an issue. OfficeAmp simply let's you log your issue anytime anywhere. 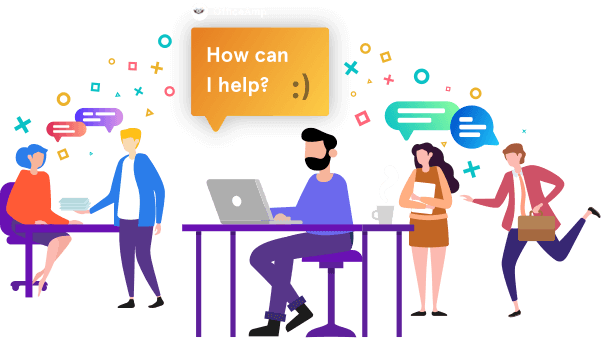 OfficeAmp automatically assigns the issue to the right person and keeps you posted on your issue’s progress untill it is resolved. Manage the tickets to their end and analyse key metrics from time-to-resolve to throughput on the dashboard. We offer a 14-day trial for you to test out our product in all its glory. and make your office more secure. OfficeAmp is the modern revolution in internal help desks. It let's you manage employee requests in jiffy, enabling more productive and a merrier workplace. Made with love from Anaek Inc.
© 2019 OfficeAmp. All rights reserved.